highway A1, exit Orte. Take the E45 in direction Perugia-Cesena, exit Valfabbrica Ancona. 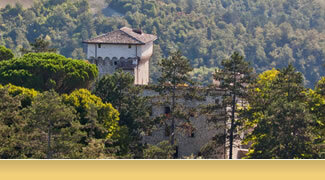 Continue up to Casa Castalda in direction of Gubbio - Carbonesca for about 5 Km. 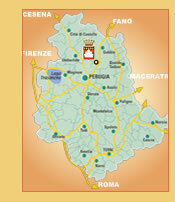 exit from the A14 at Cesena North and take the E45 up to the exit Umbertide - Gubbio. 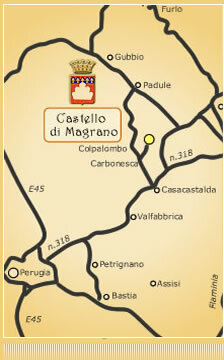 Continue for about 20 Km in the direction of Gubbio - Casa Castalda (New Switch).